Beside, the city is also the door of the integration so you can find here the typical feature related to culture and cuisine imported from abroad. Around the year, Ho Chi Minh City is in the crowded situation. Café, canteens, local restaurants in different scale are the place where gather different group of people with different reason to come to enjoy, for business or for chatting. The time is for gathering sometimes just some minutes but it is always the moment that gives people the comfort and pleasure to be able to continue the bustle life in this city. Ho Chi Minh City in August can bring you something special? Firstly, it is the wonderful thing related to street food. As mentioned above, Ho Chi Minh City is considered the golden place for street food. You may find out here all dishes in 3 regions of the country with all dishes. Each district in the city has the area of street food so you are not difficult to find. Just ask the local people, they will show you the appropriate place to experience. Furthermore, going out for café is the enjoyable activity. Ho Chi Minh City is the paradise of café. There are many café and café shop in rich style for you to come. 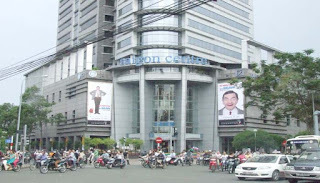 If you love to visit Ho Chi Minh City in August, it is better if you come to the famous outdoor destinations in here in the morning because it may rain in the afternoon. And the activity in the evening should be later than 8pm to avoid the traffic jam and sudden rain in the late afternoon and early evening. The time of the afternoon is appropriately for shopping in the modern business centers or indoor destinations.